The distinctive corner location of this 1,230 square-foot home provides dual exposure, adding to the light and airy feel of its open design. Select apartments offer seasonal views of the Sound, with the bonus of an expansive balcony. 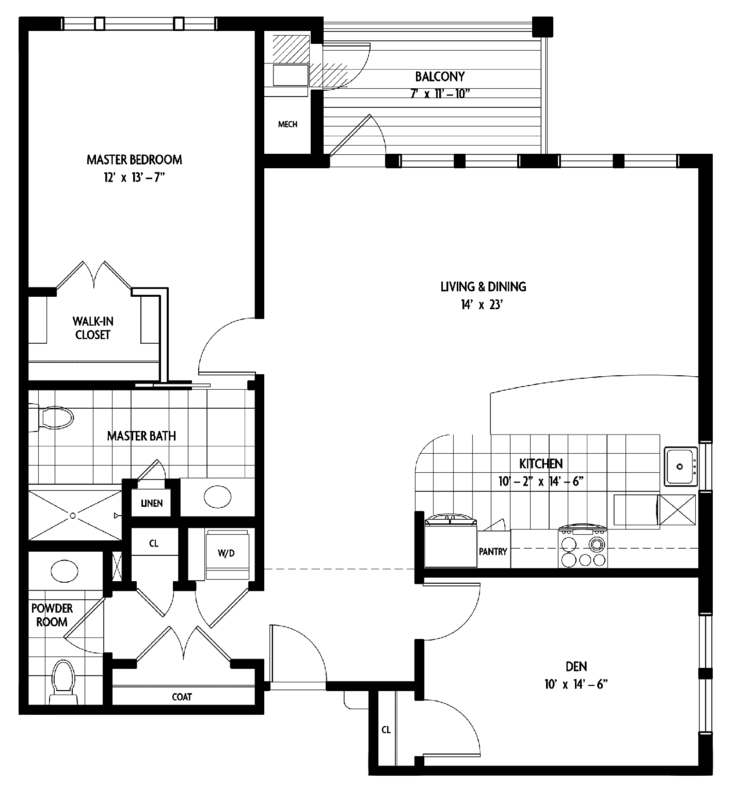 Large enough to be a two bedroom at a one bedroom price, this model provides oversized walk-in closets and a huge kitchen for those who like to cook. An additional powder room and our signature master bedroom suite make the Orient Point L2 a smart choice. Admire the view from The Orient Point.